Early Sportsters (1957-1965) were fitted with side-float Linkert DC carbs, which were simple units to diagnose and repair. The Linkert DC was also found on other Harley-Davidson models, including the 1957-1966 Servi-car, and one-year-only (1966) Shovelhead. 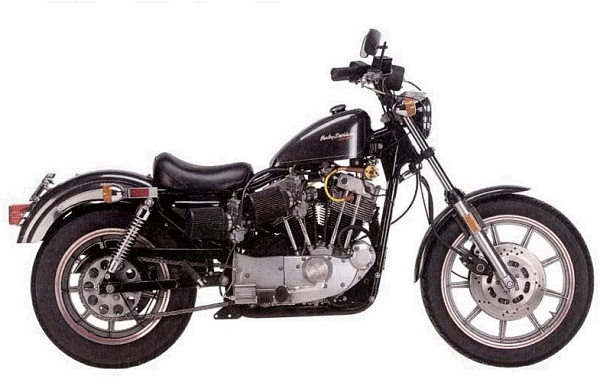 For those of you who ride an early Sportster, it's a rare bird and you'll probably want to keep it stock. If you have the original Linkert, leave it in place. But for those who have a later Ironhead, there's better carb choices. A switch to Tillotson was seen with the 1966 Harley Sportster and 1967 Shovelhead. Unlike the previous Linkert, it had an accelerator pump and featured a hydraulically operated automatic "economizer" circuit. 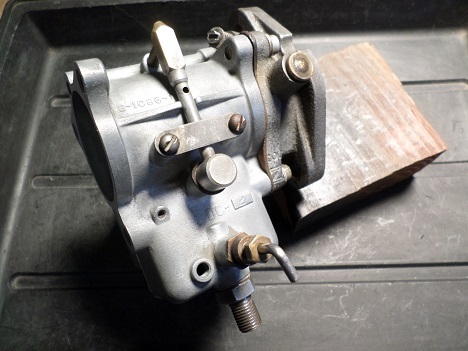 The Tillotson carb was complex and had many parts, and was not appreciated in its day. Lack of knowledge and poor parts availability tarnished their reputation, but when set up correctly, they are an excellent carburetor. The Tillotson Model HD was original equipment on Ironhead Sportsters until 1971, replaced by the simpler Bendix unit. Originally fitted on 1972 to early 1976 Sportsters (and some Big-Twins), the Bendix carb is a popular choice for classic motorcycle builders and restorers who still ride their old scoots. They are relatively simple units that easy to tune and cheap to buy. The three styles of Bendix Carb made for Harley V-twins are a 38mm fixed main jet, 38mm adjustable main jet, and 40mm adjustable main jet. 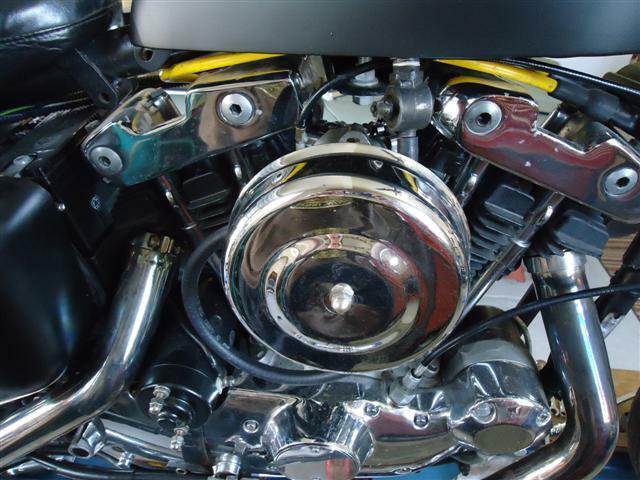 Many riders feel they are the best factory carb for Ironhead Sportsters. The Keihin carbs found on Ironhead Sportsters are fixed-venturi units, not to be confused with the later slide-type (CV) carbs found on 1988 and up Evo Sportsters. The first two years of Keihin-equipped Sportsters had issues (early 1976-1977), but these were addressed and corrected by 1978. In 1979, venturi size went from 38mm to 34mm. The Mikuni is a slide-type carburetor, also known as a CV (constant velocity) carburetor. Back in the day when I was riding a 1972 XLCH Sportster, other Harley riders used to mock my 40mm Mikuni because it was Japanese, but it worked very well. To my delight and their surprise, the bike started consistently on the 1st or 2nd kick. The Mikuni stuck out from the motor a more than the stock Bendix and gave a slight obstruction to the rider's right knee. When introduced in 1975, the S&S Super B was the carb to run. That was until the Super E came out in 1990, basically a Super B but with an accelerator pump. 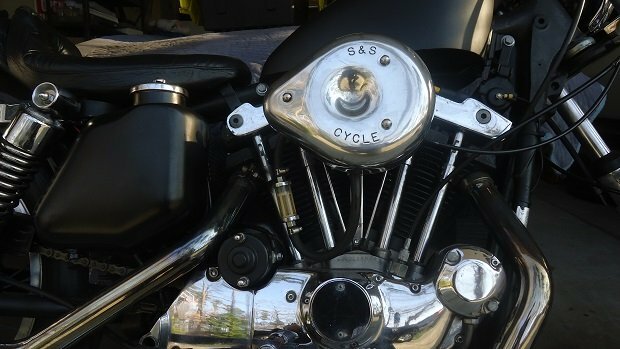 Although the Super E has gone on to become the best selling performance carburetor in the V-twin aftermarket, many riders still prefer the B over the newer E and G models, claiming it has better flow and more low end punch. If you've modified your 1000cc Ironhead Sportster, consider a Super B or Super E.
Although the Super B carb is not as forgiving to improper jetting as E carb, the B is my personal favorite carb for a 1972-up Ironhead. I ran one on my old 1976 XLH, and the difference between the stock Bendix carb vs the Super B is night and day. I don't think it was ever designed to run on a "small" V-twin, so careful jetting is crucial. The SU was one of the first commonly available constant velocity "CV" carbs, and was a popular carb swap for Harley Panheads and Shovelheads back in the sixties and seventies. These variable-venturi carbs were originally found on European cars, such as Triumph, MG, Volvo, and others. 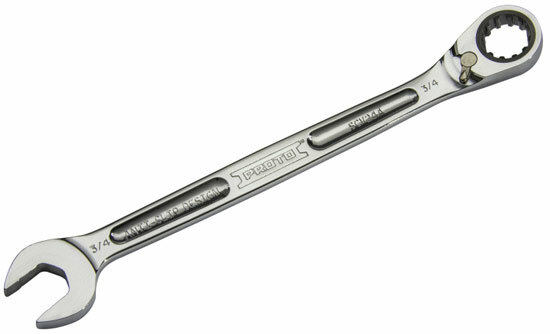 Measured by bore size, common SU carbs are the HS2 (1.25"), HS4 (1.5"), and HS6 (1.75"). For a 1,000cc Ironhead, look for one with a 1.25" bore. Because some classic cars use SU carbs, air filters are still available. Back in the day, we would modify existing air filters to fit the odd 4-bolt pattern on the SU carb. This involved measuring and drilling holes in the backing plate. 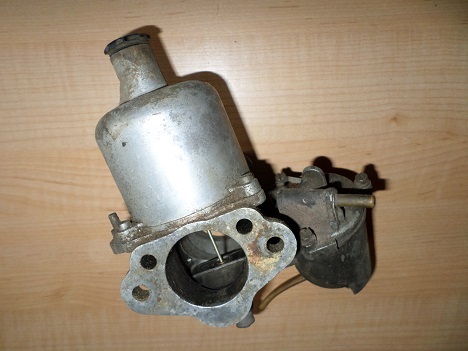 There's not too much more impressive than a dual-throat Weber sticking off your bike, but these carburetors are very time-consuming to dial in, simply because there's so many variable factors, and one adjustment usually affects others. Adjustable items on dual-throat carbs include main venturi size, main jet, idle jet, air corrector jet, accelerator pump jet, emulsion tube, fuel inlet valve, and air horns. 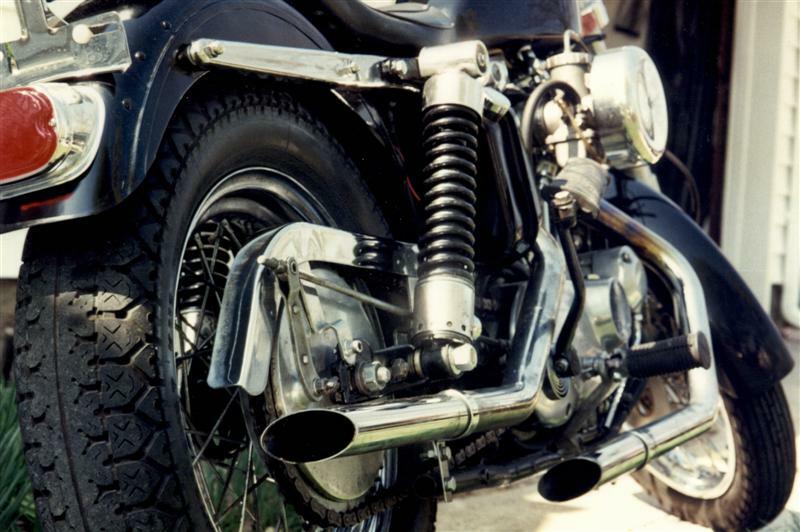 A dual-throat carb on a Sportster may cause interference with the rider's right knee. 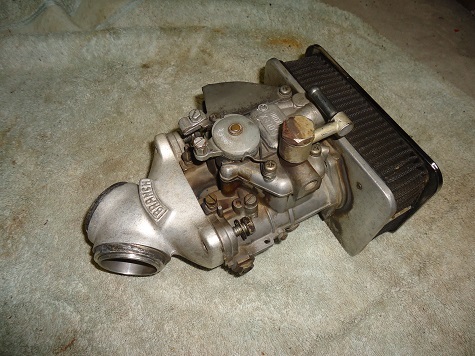 The Mikuni-Solex pictured here is a car-type carburetor, but is gravity-fed like most motorcycle carbs. In 1984, H-D introduced the XR-1000, which featured a pair of 36mm Dell'Orto carbs, With the other factory engine mods, power output was 70-horsepower. Weighing in at 490 pounds, the XR-1000 could hit about 125 mph. Ethanol is used in today's gasoline as an additive, and E10 gasoline today contains roughly 10% ethanol. Ethanol has a shorter shelf and tank life than gasoline, and can begin to break down in as little as three weeks. Another problem with ethanol is that it attracts water and "breaks down" faster than gasoline. Ethanol is the same type of alcohol that is found in an alcoholic drink, which works somewhat like a cleaning agent - not good for an older engine. It also increases vapor pressure in gas, which may cause vapor lock in the carburetor. These issues are not so bad with daily transportation vehicles, but with small engines not driven regularly they are problematic. If you store your bike over the winter, untreated fuel may go bad in as little as three months. Longer than that, a fuel system cleaning is recommended.